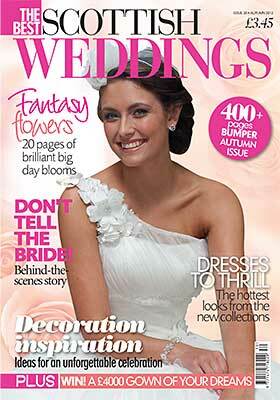 We just picked up the latest edition of The Best Scottish Weddings magazine. Check out our flowers on page 189 at the wedding of Elaine & Alan where Elaine nominated Abbie at Mood Flowers for the "outstanding contribution" on her big day. On pages 235-238 you can take inspiration from the Colour Me Beautiful feature.